Fri., 27 Dec. - Sun., 29 Dec. Sun., 22 Dec. - Fri., 27 Dec. Sun., 21 Jul. - Wed., 24 Jul. Wed., 12 Jun. - Fri., 21 Jun. 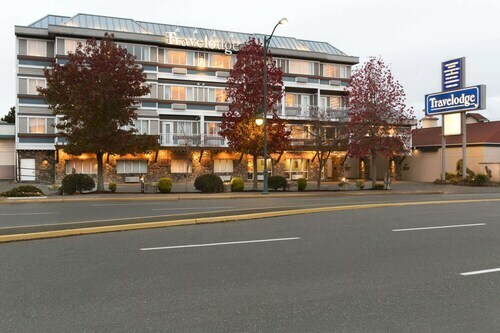 Sun., 22 Dec. - Mon., 30 Dec.
See all 161 properties in Victoria Intl. 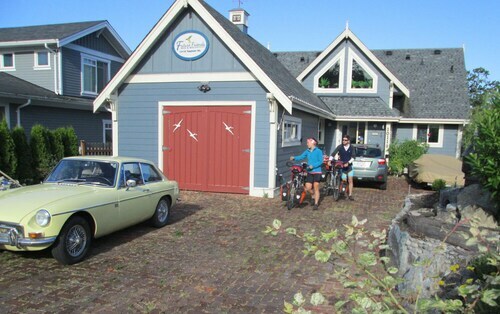 Situated near the airport, this eco-friendly motel is within a 15-minute walk of Mary Winspear Centre, Shaw Ocean Discovery Centre, and Port Sidney Marina. Rotary Park and Panorama Recreation Centre are also within 3 mi (5 km). 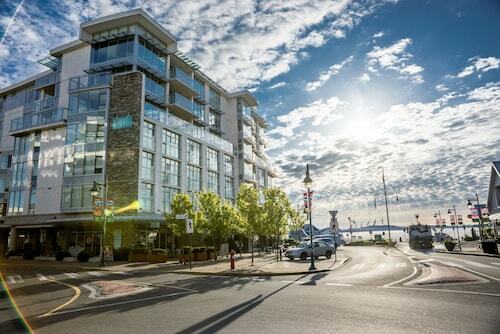 Located in the heart of Sidney, this spa hotel is steps from Shaw Ocean Discovery Centre and Victoria Distillers. Sidney Museum and Archives and Sidney-Washington State Ferry Terminal are also within 10 minutes. 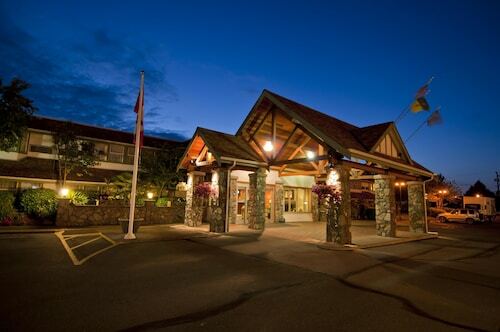 Situated near the airport, this eco-friendly hotel is within a 5-minute walk of Mary Winspear Centre and Sidney Museum and Archives. Sidney Skatepark and Iroquois Park are also within 10 minutes. 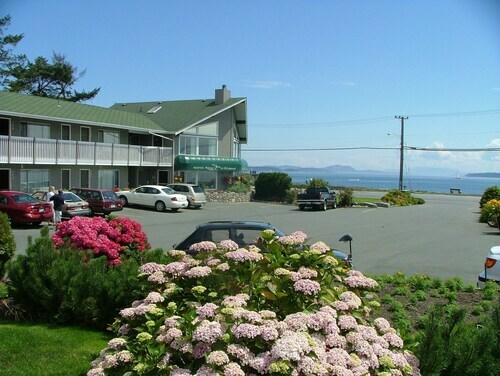 Situated on the waterfront, this motel is within a 10-minute walk of Iroquois Park and Sidney-Washington State Ferry Terminal. Sidney Skatepark and Sidney Museum and Archives are also within 15 minutes. 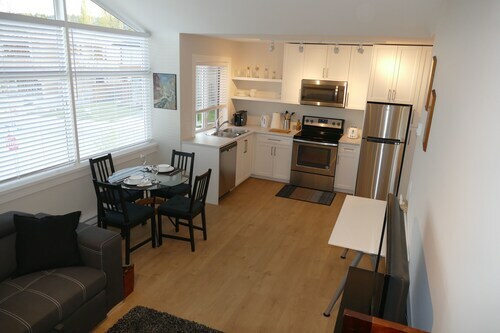 Situated in Sidney, this property is within 1 mi (2 km) of Rotary Park, Iroquois Park, and British Columbia Aviation Museum. Panorama Recreation Centre and Sidney-Washington State Ferry Terminal are also within 1 mi (2 km). Located in the heart of Sidney, this romantic vacation home is within a 15-minute walk of Mary Winspear Centre, Sidney Skatepark, and Sidney Museum and Archives. Iroquois Park and Shaw Ocean Discovery Centre are also within 1 mi (2 km). Situated in Sidney, this vacation home is within 1 mi (2 km) of Panorama Recreation Centre and Rotary Park. British Columbia Aviation Museum and John Dean Provincial Park are also within 2 mi (3 km). Situated in Sidney, this golf bed & breakfast is within 3 mi (5 km) of Mary Winspear Centre, Resthaven Park, and Glen Meadows Golf and Country Club. Sidney Museum and Archives and Sidney Skatepark are also within 3 mi (5 km).